The team from Bing recently attended our first MAV (Municipal Association of Victoria) Technology Conference held at the impressive GMHBA Stadium – Home of the Geelong Cats. Bing was very excited to attend our second Australian Healthcare week, held at the International Convention Centre in Sydney on March 21st. 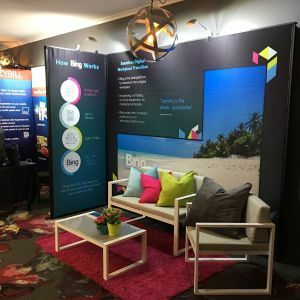 As part of our continued support for the RPSA (Revenue Professionals South Australia), Bing recently exhibited at the annual conference in the Barossa Valley.